A man suffered serious injuries after he was ejected during a rollover crash near Briley Parkway in Nashville. 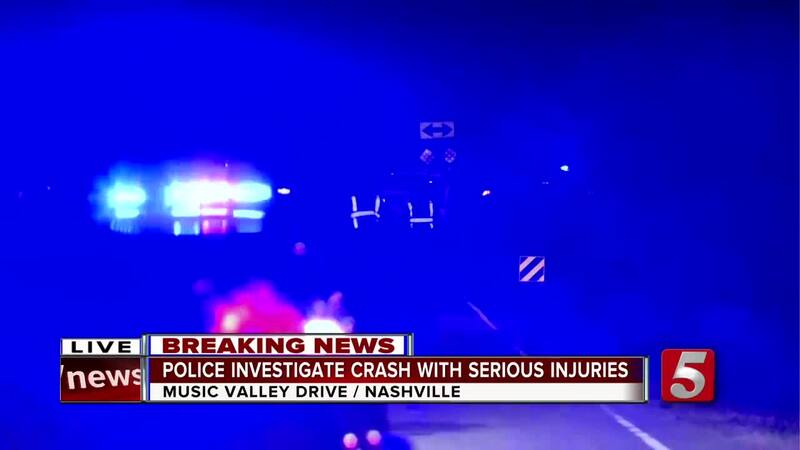 NASHVILLE, Tenn. (WTVF) — A man suffered serious injuries after he was ejected during a rollover crash near Briley Parkway in Nashville. The incident happened early Tuesday morning on Music Valley Drive, near Two Rivers Campground. Officials with Metro Nashville police said the car struck a guardrail, went into a ditch and then rolled over before coming to rest against the other guardrail. The driver was ejected from the vehicle. Police said speed was a factor in the crash. Due to the seriousness of the wreck, the Fatal Crash team was called to the scene to investigate.